In an evolving corporate tax environment—especially now, with tax reform keeping tax professionals on their toes—adaptability is more important than ever, and surely that includes the need to stay with the times. Technology’s place in tax cannot be overlooked, and the folks at Thomson Reuters ONESOURCE know that. ONESOURCE’s 2018 European Tax Technology Report identifies several pain points and trends as the tax profession progresses through a more technologically focused landscape. 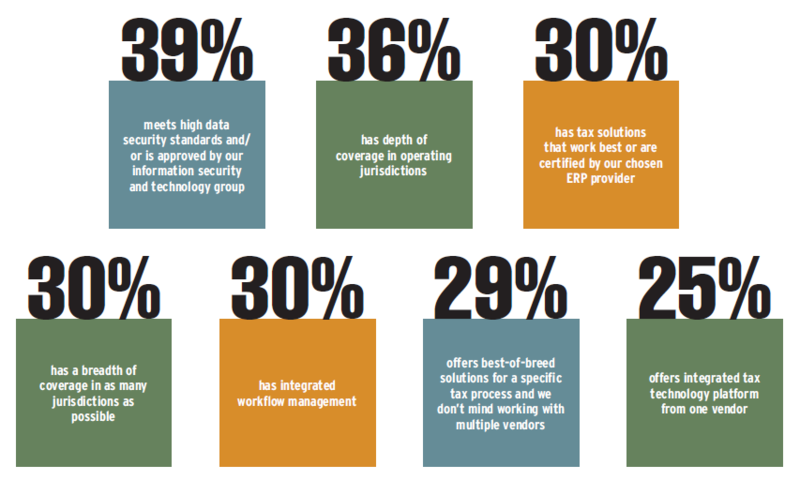 To start, survey respondents note that the third biggest challenge—behind keeping up with regulations and processes and managing multi-jurisdictional compliance—is implementing tax technology and transformation projects. Additionally, with thirty-three percent of respondents adopting just a basic level of technology—relying mainly on manual processes and spreadsheets—and only nineteen percent implementing a tax data management solution, it’s no wonder that this is an ongoing issue not only in Europe, but also globally. Now is the time to strategize and execute a tax technology plan, but before you can do that, consider what aspects of technology work best for you and your company. The following question and answers are from the Thomson Reuters ONESOURCE 2018 European Tax Technology Report. According to the report, Thomson Reuters conducted this survey in Autumn 2017 across Europe, with a total of 329 completed surveys.